Kelli (JOY) Richardson Lawson is an Emmy Award winning creative visionary and entrepreneurial business leader with nearly 30 years of leadership experience in television & entertainment marketing, consumer packaged goods, video production, book publishing, and technology. 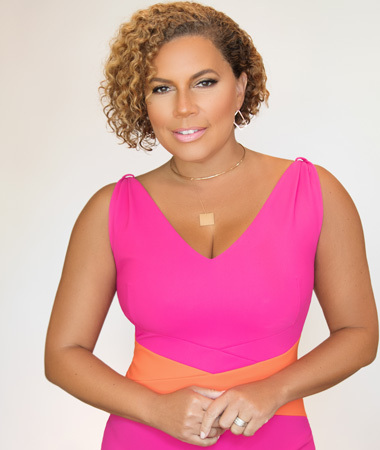 Her expertise in strategic marketing, advertising, communications, special events, public affairs, video production, and advertising has translated to exceptional results for powerhouse brands such as Procter & Gamble (P&G), BET Networks, Viacom,Coca-Cola, Sprite, the U.S. Naval Academy, Dell, and others. We are Comprehensive, offering full end-to-end solutions. We are Culturally sensitive, driving deep insights into actionable ideas that ensure companies avoid the “blind spots”. We are Colorful, with a magnetically diverse team that represents the world in which we live, and we are certified minority and women-owned. We are Connected, having extensive relationships with talent, influencers, media partners, and brands. We deliver Captivating results, producing star-studded events, including red carpets, galas, TV specials, and multi-media productions. A proud Howard University graduate,Kelli started her career in brand management with Procter and Gamble in Cincinnati, OH before being recruited by BET Networks to create multiple new businesses, including a men’s clothing line, a skin care line, a nightclub at Walt Disney World, and more. She became EVP of Marketing,Communications, Special Events, Creative Services, Research, and Public Affairs after a short time at the company. Kelli personally spearheaded two pro-social initiatives: BET’s Emmy Award-winning HIV/AIDS program “Rap-It-Up” and the BET Foundation, a 501(c)3 focused on health-related problems and social issues in the African American community. Known as a creative visionary, Kellicreated multiple award-winning creative campaigns, including image campaigns, branding and visual identification systems for large and small brands. Kelli has received hundreds of industry awards for television, print, and marketing work, including several Telly, Promax, BDA, NAMIC, CTAM, CTPAA and NAACP Image Awards. Kelli is actively involved in many professional and social organizations while being a generous mentor, mother, wife and friend. She prides herself on giving more than she receives – always with a JOYful heart and positive, passionate spirit.